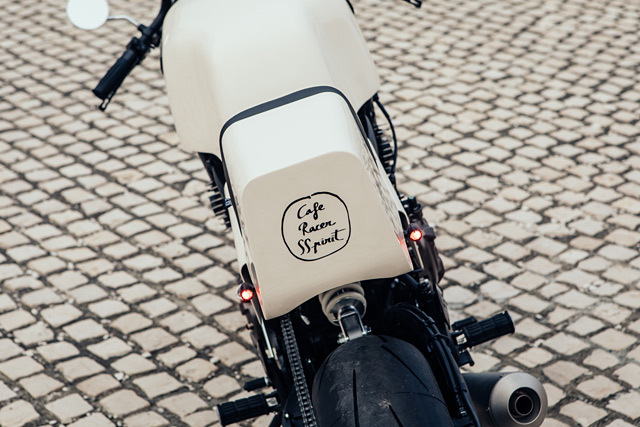 Who is Café Racer SSpirit? 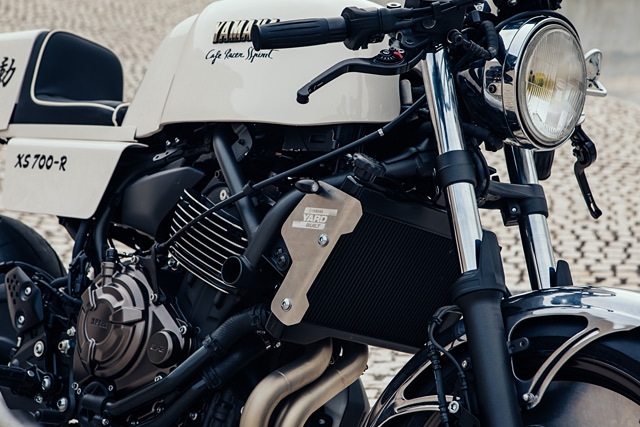 Cafe Racer SSpirit is a workshop dedicated to the customization of motorcycles, located in San Sebastián, Gipuzkoa. It started in the business at the end of 2014. A family business, composed by 3 members; Juan Carlos López, Hugo López and Juan Pablo Santinelli. 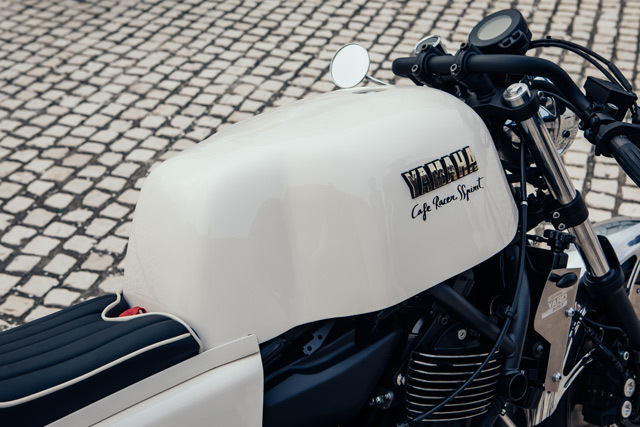 Our aim is to rediscover beauty on motorcycles. 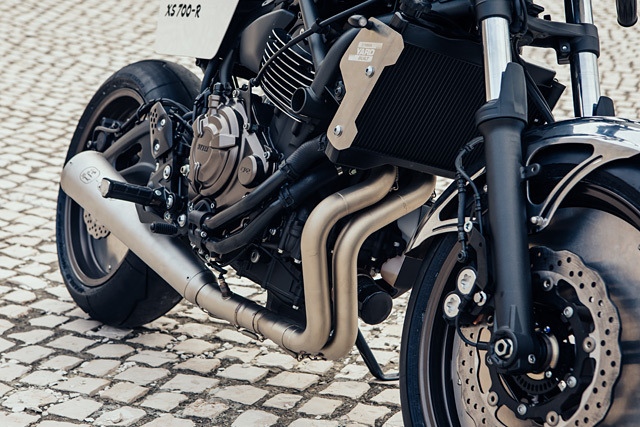 We work hard to turn every bike into a unique build and we take care that driving becomes an amazing experience. 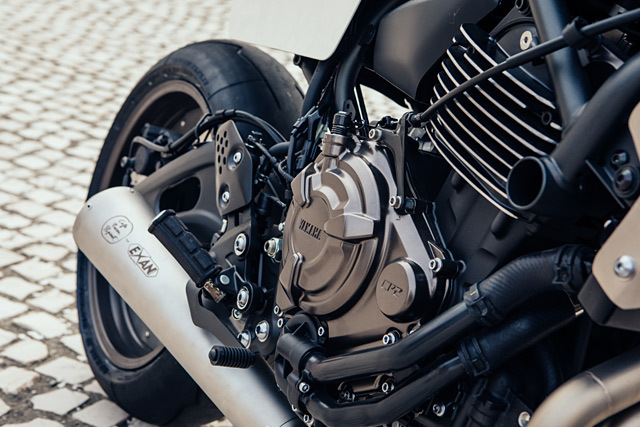 We consider customization of motorcycles as a kind of art. The project was clear. We wanted to build something totally different. Not just slight modifications, but a complete customization. 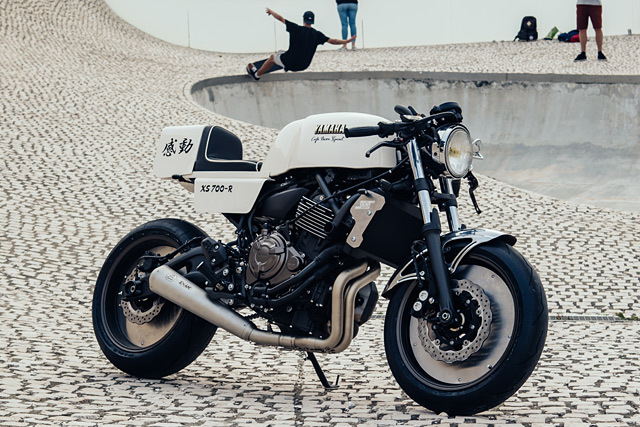 Our aim was to build a “racing” bike inspired on the bikes from the 70-80s; with a single seat, lowered handlebars, racing exhaust, and taking into account the requisites of building an street legal motorcycle. 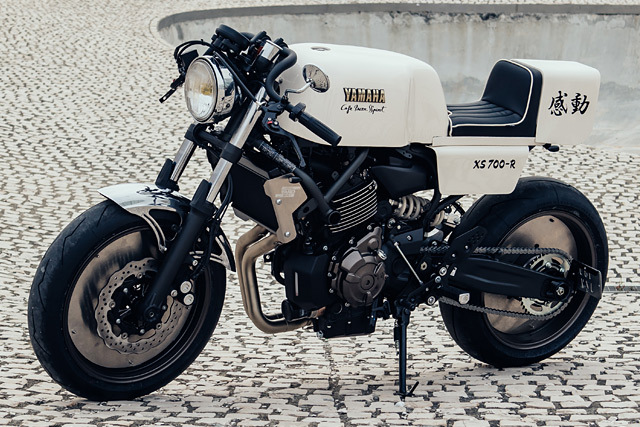 Paying higher emphasis on the “racing” aspect, we decided to name the build as “XS700-R”. 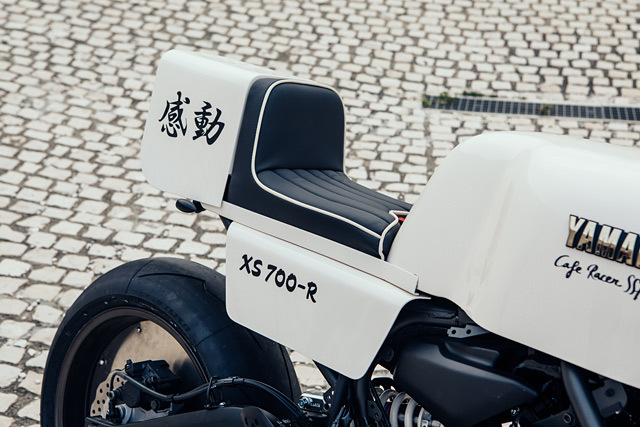 Once the whole fairing, seat, lights and accessories were removed, we started to analyze how the 3D printed body kit would fit within the frame. Then we started working on the fairing, bending and adapting metal pieces, simulating the final look of the gas-tank and the monocoque seat. Once the simulation was approved, instead of continuing the process with the conventional “fiberglass”, we contacted a local 3D Printing Company (Tumaker 3D) for the body kit scanning and printing. Everything but the seat base, because of the rigidness needed, will be elaborated in 3D. 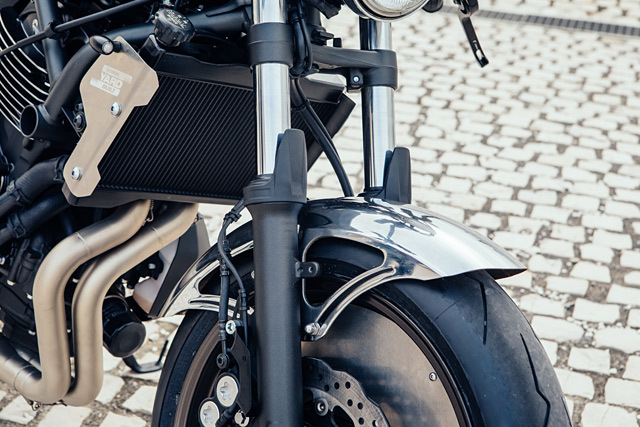 Having the complete body kit already scanned and print-ready, our intention is to offer the kit to the public, accompanied with its assembling instructions (easy to install; plug-and-play). 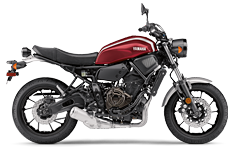 The XSR 700 model is the perfect balance for ride for city riding as well a travelling option. The bike handles very well and it´s fun to ride. Regarding the possibilities for customizing, it´s a good base to modify due to its simplicity in removing its parts (for example; the removable sub frame is very interesting). 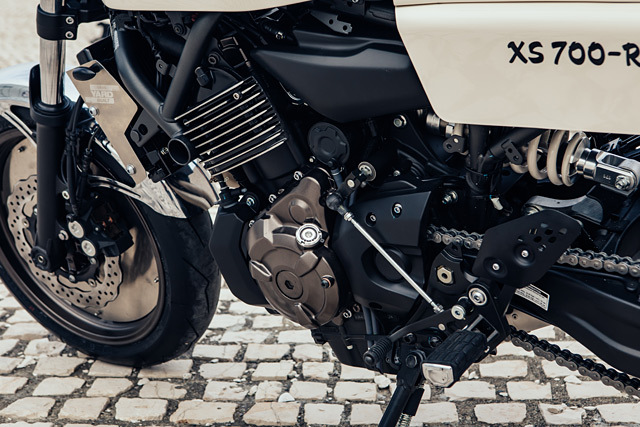 We certainly like the speedometer for its shape and functions. We even kept it stock in our build, just relocating. 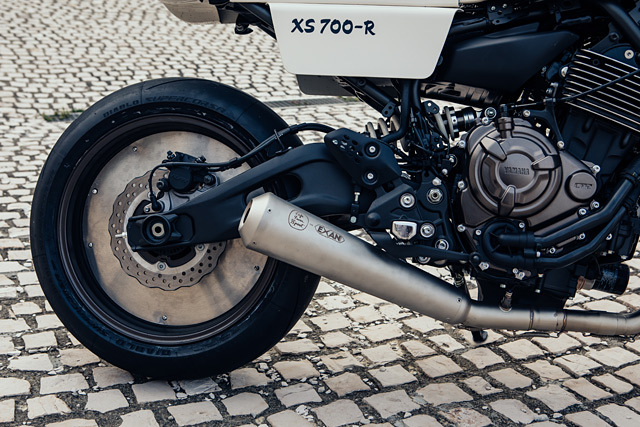 The stock exhaust system is pretty nice also, not exceeding in size.